As Confessions moves into 2014 with new ideas and stories, I’m also taking a moment or two to reflect and share a few memorable experiences my family and I had during 2013. 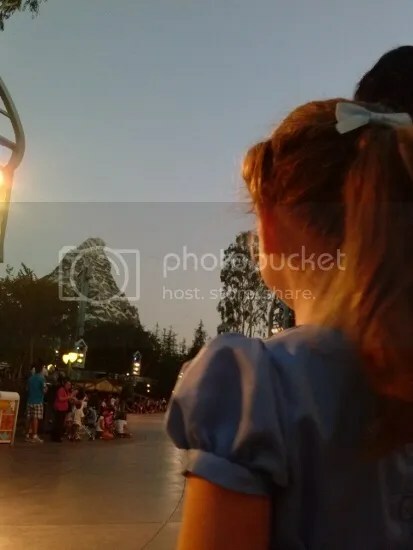 This particular instance comes from a trip to Disneyland in September, and serves as an open letter to those who made a possibly sad experience absolutely wonderful. 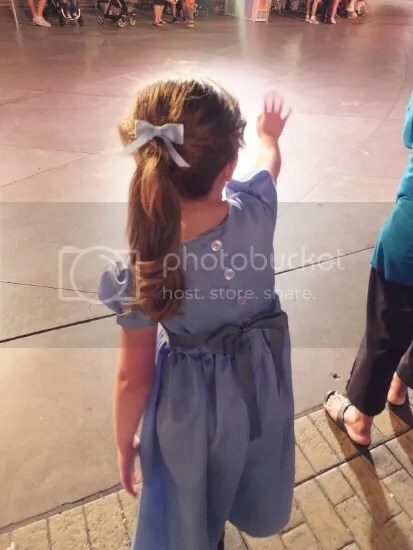 I write this letter as a long overdue note of thanks for making a five year old’s day at Disneyland so incredibly magical by small acts of kindness that were, in essence, incredibly huge in her eyes – and ours, too! You see, as I’ve mentioned in the past, Peter Pan and Never Land are huge in our household. While there are other aspects of Disney from day to day, depending on which characters we are “playing” at a particular time, Peter is the constant. Any time we’ve met you at the park, Peter, you’ve always been a highlight and we’ve been excited to see you. 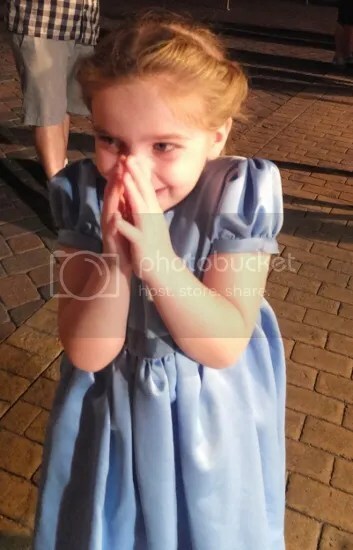 So, it was with great anticipation on this trip that our daughter wore the Wendy dress her grandmother had recently made her in anticipation of meeting you. That day in the park, September 9th, 2013, we arrived and looked for you in the locations and attractions we had met you previously. The early morning yielded no results, although one cast member had mentioned seeing you around Dumbo. Yet, in asking a character handler at the Tangled meet & greet, we were informed that no, you had not made it to the park today. Later, however, we were informed by a cast member at another area of the park, “Peter should definitely be around today!” Being that there was quite a bit of confusion among cast members as to your whereabouts, I ventured to Main Street to chat with the character handlers there to see if I could get a definitive answer. Although I cannot remember the handler’s name, I can tell you what a wonderful help she was. After explaining our situation to her, she stepped back and made a call to the back. Upon her return, she sadly explained that you had some troubles in Never Land that morning. Hook and his fellow pirates were being extra feisty, and you were needed there to reign them in. Sadly, you would not be at the park that day until Soundsational parade time. While we understood – I mean, these things happen, pirates being how pirates can be – we were nonetheless a little sad. Here our little Wendy had one wish, and that was to meet you and show you her dress, Peter. But being the trooper she was, she held back tears as we went to plan “B.” While she was reluctant to meet Tinker Bell (I guess Wendy and Tink have a bit of a past…), she was more willing to venture across to Disney California Adventure in hopes of meeting Jake (the nice Never Land Pirate) and return to Disneyland later to at least wave to you as you passed by during Soundsational. Jake, this is where you came in. When we got over to Californina Adventure, you were not out, but were told you would be arriving shortly. 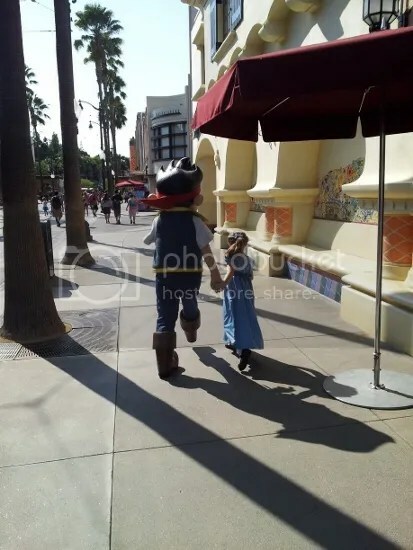 The short wait was worth our while, as you instantly recognized Wendy and took her on a magical journey through the streets of Hollywoodland in search of the ever elusive second star to the right. For a full five minutes, the two of you were in your own world, walking down one side of the street and up the other, eyes peeled for any sign of Never Land. He must be here somewhere! After finding evidence of a possible path to Never Land (a star in the window of the Animation Building), it was time for you to move on and meet other guests waiting for you. But Jake, you put a smile on that little girl’s face – the biggest one we had seen that day. At least, the biggest one we had seen so far. Later that afternoon, we traversed back to Disneyland in order to catch the only showing of Soundsational that day – at park closing. Still unsure of meeting Tink in Pixie Hollow that day (I mean, she HAD wanted to shoot Wendy down, you know…), we made our way to the back of the park for a ride on It’s a Small World. After that, we sat down for a spot at the end of the parade route. As the sun began to set and the parade started, our little Never Lander waited with anticipation to wave to you, Peter. Soundsational is definitely a great parade. The music, the upbeat tempo, the cast of characters… this time was no different. Very much worth waiting for. However…the main event was coming up – would you see Wendy and wave back? Did you see her? Did you ever! Not only did you wave, but you made her feel like the most important person in the world for 15 seconds. When you spotted her, you ran over, got down on her level, and…. 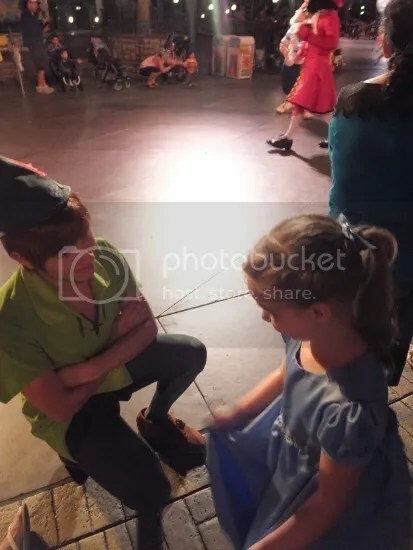 As you ran off to fight those pirates once again, and our little one squealed with glee, you took a moment to point back and tell Tinker Bell she was there. And yes, even Tink was happy to see her! “He stopped the parade just for me!! !” – her exact words! …and it’s the most important thing about being in a magical place. So thank you, Peter and Jake. You made a little girl’s day by going above and beyond what many expect. And I am forever grateful for moments and characters like you. My dear readers, I wrote this letter with the hopes that it would bring you happiness – to remember what it’s like to see Disney through the eyes of a child. I also did so in the hope that you would help me out with a small favor. See, I would love to see if this could make its way to the “friends” of Peter and Jake that were at the parks that day in September. I really would like them to know of the impact and impression they left on us that day. It truly was magical. Please feel free to share, comment and pass this on to anyone who may be able to get it to these wonderful people. Until next time, my friends, be blessed!